Samba is a suite of applications communicating via SMB protocol. 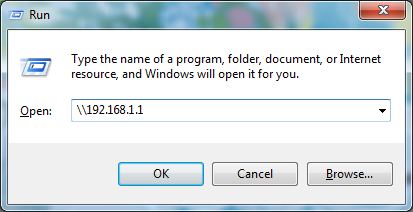 SMB protocol is also used by Windows sharing. SMB is used mainly by two major services - shared folders and sharing of printers. This guide is about shared folders for now, maybe later I will add how to share a printer. Now install Samba services from repositories. Next step is to create a folder that will be shared by Samba. Create user that will be used to authenticate users accessing shared folder. New user will not be used for local login or any other purposes, so use "--no-create-home" parameter to skip creation of home directory. To disable login to local shell to this account, follow "How to disable default 'pi' user" on Adjustments page only replace "pi" with "remote". Change owner of shared folder to new user. Next step is configuration of Samba`s shared folder. Edit /etc/samba/smb.conf and add this section at the end. Now close the configuration file (CTRL+X...) and save changes (...press "y" and Enter) and restart Samba service. To connect to your shared folder from Windows, use Win+R (Run command...) and enter double backslash (Alt+Q) and RPi`s IP address. Press "Enter", insert password and you should be see your shared folder.